The truth you seek, the insight you need, is held in the cards. This is tarotology; the basis of a tarot card reading, and the key which could unlock an understanding of your future. Tarot cards have something of a bad reputation. Some consider them to be a fair ground party trick, or an act of fortune telling and conjuring. In fact, they are vital tools for honing your psychic ability and for providing readings for others and for yourself. Practice makes perfect, so the more you train with tarot cards, the more your psychic ability will increase. This applies to any psychic or clairvoyant activity, and also to the tools you use. For this reason, and older deck of tarot cards will be of more use than a younger one, simply because of all the psychic energy which has coursed through them over the years. 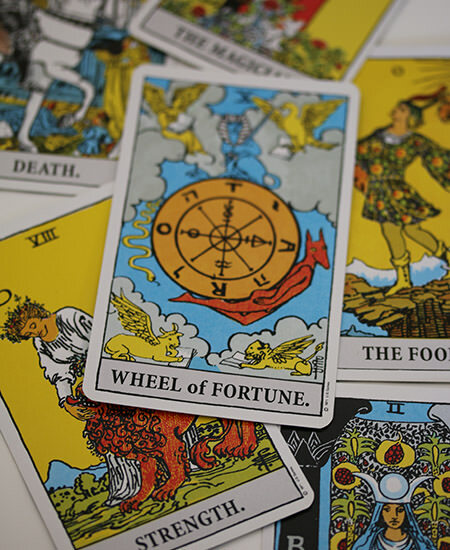 Tarot cards and tarot readings are insightful, exciting and illuminating, but, above all, they are fun. Whether or not you are familiar with the Ryder Waite Tarot Card system – the 78 card tarot deck, popularised in Europe by travelling Roma – which I use here in Adelaide, you can still take a great deal from a reading. Be open to the reading and to honing your abilities, and let the knowledge flow from the cards into you. Tarot readings are great fun and, the more practice you have, the greater that fun can be.